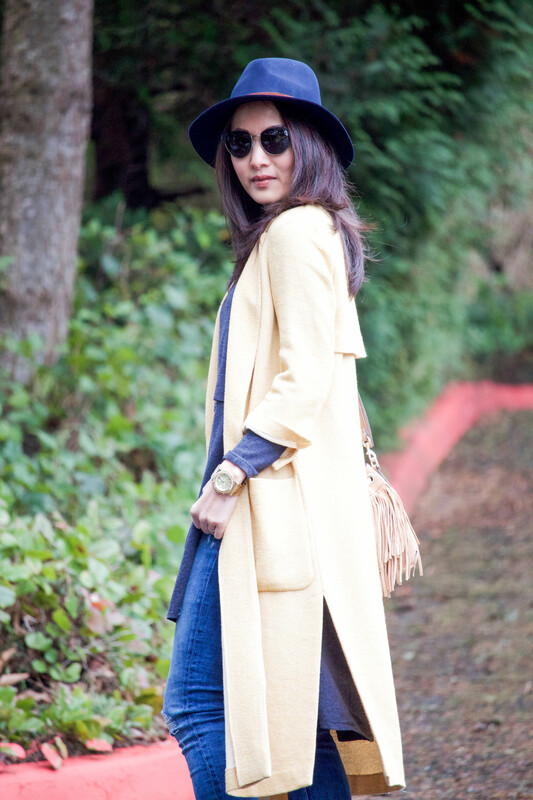 Forwarding to Spring with light layers and contrasting hues of blue and yellow. It’s still pretty cold and damp here in the Northwest, but if there’s any sunshine moment, I’m happy to pretend it’s Spring. Duster is another favorite type of layer wear for me in this kind of weather, love the laid back of the piece and the movement it creates when walking. Thanks so much for reading and wish you all a great weekend ahead. Loving the light layers <3 Perfect as the weather slowly starts to warm up 🙂 Wishing you a great week, My Linh! 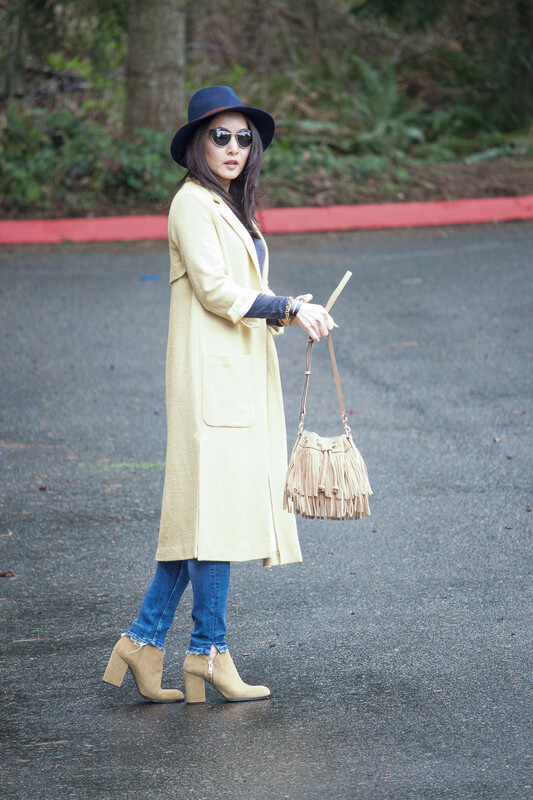 Loving the light colored layered and the fringe bag! This look is so perfect for spring! Thanks Liz for stopping by!